Yes . . it is at times time consuming but what an effort by our members. 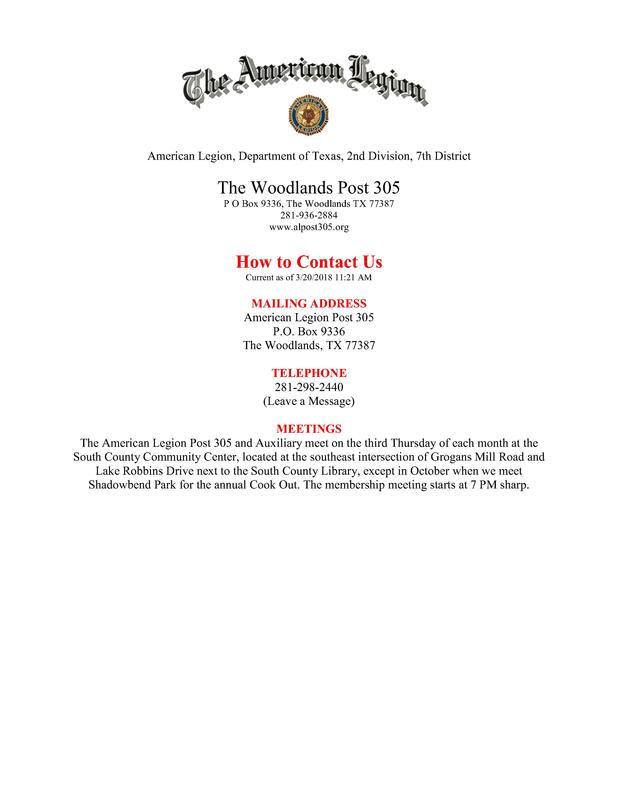 For those members who can't be at the meetings, they support the post as well. Just being a member lends support and credibility to our organization because an organization without members has zero influence or impact within the community. You are encouraged to explore this website and discover for yourself what an outstanding Post this is and the many members that make it happen. We also hope you will consider becoming a part of this great organization.